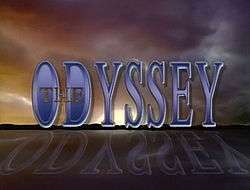 Below is part 2 of The Odyssey Odyssey—enjoy! And if you have questions or observations, just make a comment here, or post to Twitter or Facebook. In December 1985 the Vancouver film producer Michael Chechik called me up to express interest in producing Flash Dispatch, the half-hour pilot script that Warren Easton and I had written about bicycle couriers. I recall driving through snow to meet Michael at La Bodega in the West End, not wanting to postpone the meeting merely because of the weather. I’d met Michael before of course, but things were different when the issue of a project of my own creation was on the table: I was moving to the inside of the industry, I felt. Michael’s enthusiasm was genuine, and this is a huge boost for any writer, who toils mostly in obscurity and self-doubt, and very often in failure. In the world of filmmaking, the highest compliment any producer can give a writer is to form a sincere desire to produce his work. Verbal expressions of praise are only icing on the cake. So, on that cold dark night, in the dim and rather deserted atmosphere of the tapas bar, I basked in the feeling of becoming “real” (sort of like that excellent children’s story The Velveteen Rabbit, if you’ve ever read that: in the story, becoming “real” is the dream and goal of every plush-toy). Michael, with his electric-blue eyes, neatly trimmed beard, and rather high-pitched, fast-talking voice, expressed his eagerness to make the pilot–but of course there was the matter of getting a broadcaster interested, and funding the production. Indeed, he didn’t have the resources even to buy an option on the script, a normal step in the big time when a producer wants to lock down the rights to a particular project so he can see about raising funding to produce it. That was OK with me. I knew that Michael so far had not produced any drama; he and his two partners at Omni-Films were documentary producers, and in fact had won a Genie Award for their documentary Greenpeace: Voyages to Save the Whales. (Michael’s involvement in the movie Walls was more that of a silent partner, as I understood it, rather than as a primary producer of it.) Producing a drama from scratch would be something new for them–as it would be for me and Warren. Michael’s newness was one thing that made him open to looking at our work, so I was more than willing for us all to be newbies together. Michael set the wheels in motion, and had us write (I think) another draft or two of the script, along with supporting material discussing and selling the concept for the TV series. Warren and I were invited in to meet the people at Omni-Films, a small cadre of 20- and 30-somethings operating out of a suite of offices near the top of the Dominion Building, a picturesque 1910 office tower at Hastings and Cambie that was briefly the tallest building in the British Empire (13 stories). We used the Omni word-processor to prepare final drafts of the material. Now that we were in show business, Warren and I of course had to quit whatever pesky jobs we had and set up as full-time TV and movie writers. I quit my job at ICBC, and Warren and I took to meeting every day, first of all in a spare room at my mother’s house, but then soon at our own office in the Dominion Building–a place where, it turned out, you could rent a one-room office with its own sink for $80 a month. We took an 8th-floor terrazzo-floored office facing west over roof parking-lots and looking into the walls of downtown high-rises, furnished it with a friend’s old desk and a couple of mismatched chairs, chose the whimsical business name The Megavolt Script Factory, which the landlady put on the building directory down in the marble-floored lobby, and got to work. Yes: work. What to write? We came up with and submitted show ideas for Canadian series running at that time, like Night Heat (our favorite) and Danger Bay. We started working on a screenplay, The Panda Gap, a Cold War comedy that featured the abduction of politically sensitive panda-bears. And, because we had a telephone and therefore a Yellow Pages listing, we fielded inquiries from young would-be scriptwriters who wanted to join our company. Our gross earnings for the first half of 1986: $0. Meanwhile, Michael kept pressing to finance Flash Dispatch. There were some exciting moments. I recall him showing us a letter of intent from Jan Rofekamp, at that time a Montreal film distributor, expressing enthusiasm for the script and assuring us that if we could deliver the show, he could certainly find buyers for it internationally. We were feeling more and more “real”. An office in the Omni suite became available, and, in exchange for a continuing “option” on Flash Dispatch, Michael let us have it gratis. The Megavolt Script Factory moved up to the 11th floor, now looking east over the more picturesque Downtown East Side. It was a smaller room, and I think the sink didn’t work here, but we were closer to the heart of the action. The people at Omni said that they heard us laughing all day long from the office down the hall. I don’t think that that was much of an exaggeration. As 1986 started drawing to a close, Warren and I were forced to ask ourselves whether we could afford to be professional film and TV writers. Although we did actually earn some scriptwriting income that year–we split $1,000 paid to us by a director who liked our work, and who wanted us to write a sitcom pilot for him about an old-folks’ home–the writing contracts were not flooding in as we’d hoped. There was the odd producer or director who wanted us to write something for free–sorry: on “spec”–but these projects were always terrible, and we felt that if we were going to write for free, we might as well do our own material, or at least something we liked. In short, I was going broke. I also wanted to devote more time to writing a novel I’d started, Truth of the Python, about a Vancouver hypnotherapist who accidentally regresses a client to a past life as the philosopher Pythagoras. Feeling chastened after a year as a “real” TV and movie writer, I returned to my job at ICBC in December 1986, a month before my 28th birthday. Warren stayed on for a time as the lone representative of The Megavolt Script Factory, but eventually he too had to give up the office and find gainful employment. And as 1987 came in, I had returned to corporate life, and the dream of scriptwriting was apparently a bust, at least for the time being. This entry was posted in the odyssey and tagged dominion building, fantasy, flash dispatch, greenpeace: voyages to save the whales, illya woloshyn, jay ziegler, michael chechik, Omni-Films, Paul's life, ryan reynolds, the odyssey odyssey, The Velveteen Rabbit, Truth of the Python, tv series, warren easton, writing fantasy, writing for tv. Bookmark the permalink.